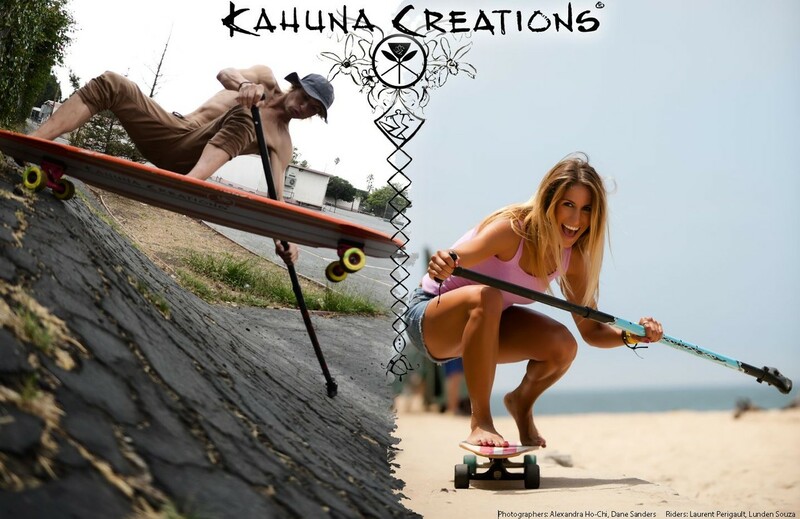 KAHUNA CREATION - Creators of the Kahuna BIG STICK! 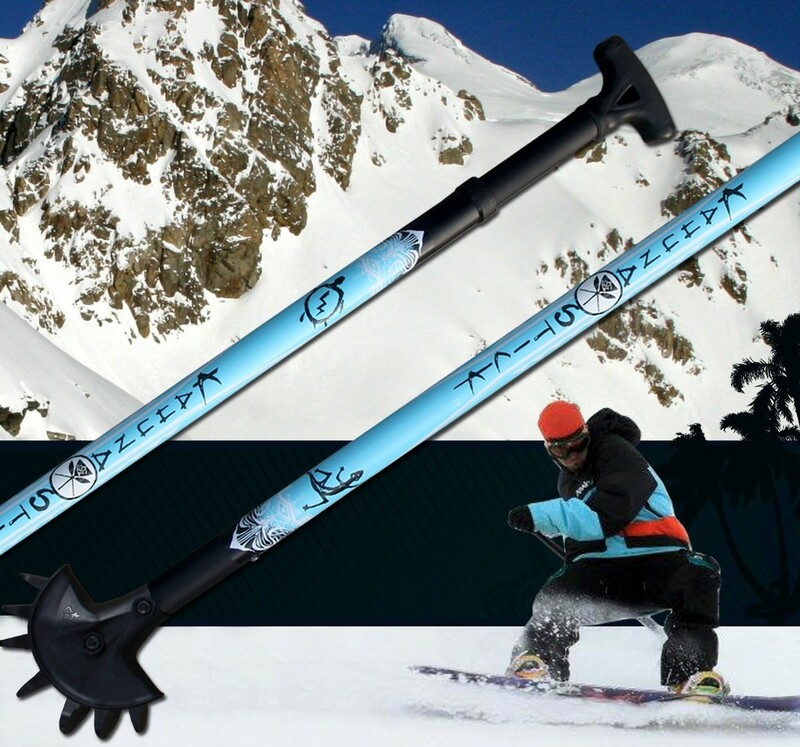 Ride hard and carry a Big Stick! 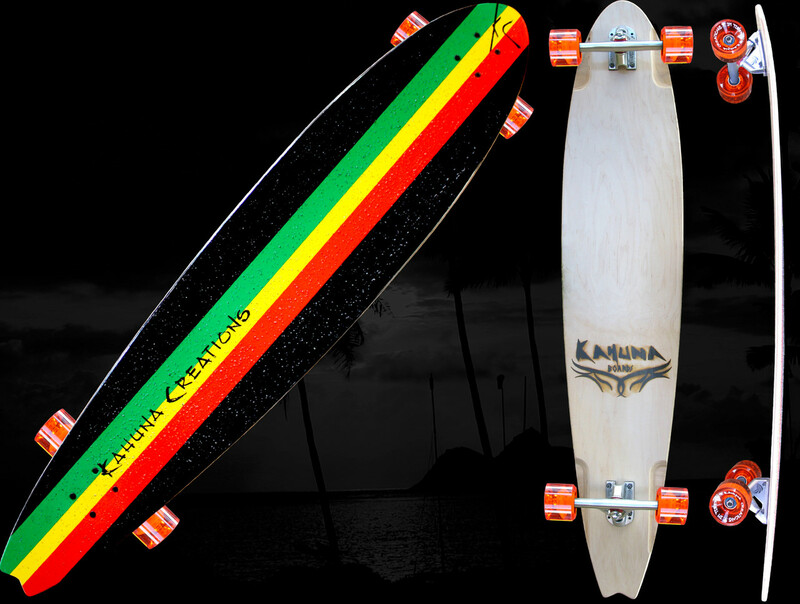 Kahuna Creation: Longboarden gehen od. 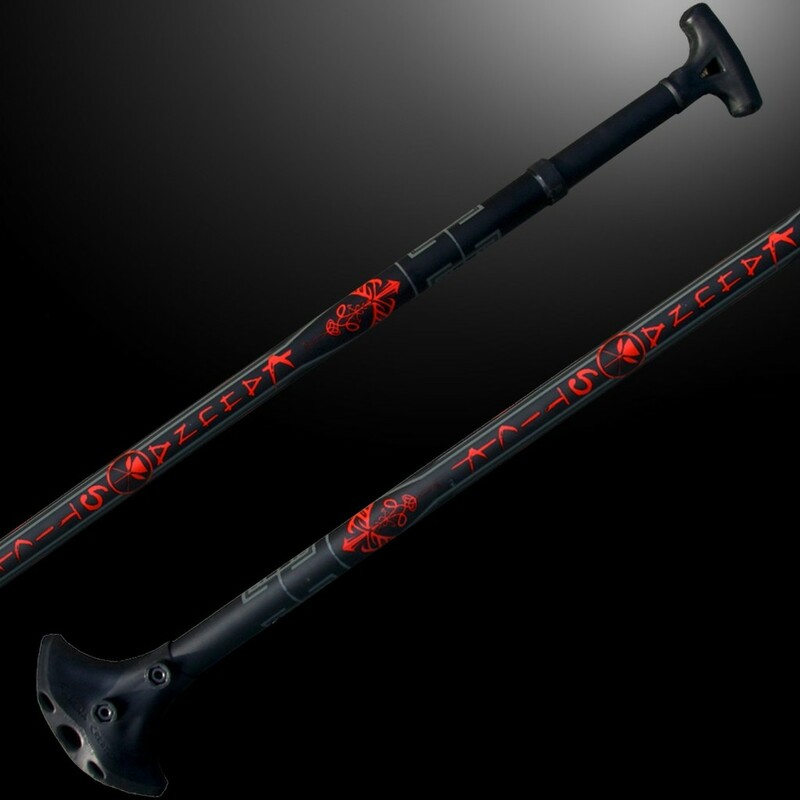 einen BIG STICK in die Hand nehmen und los Paddeln! 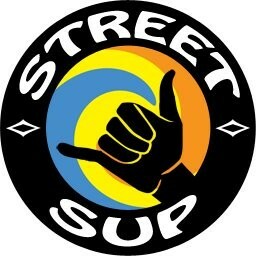 Street SUP od. 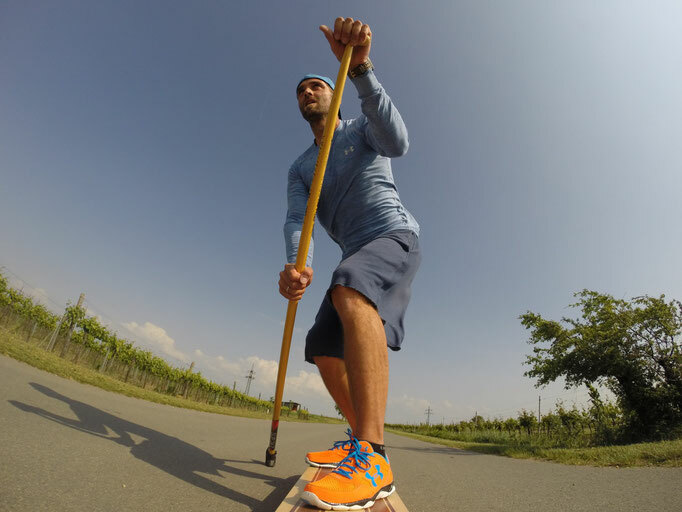 Landpaddling - gutes Training für die Fitness und zum SUP'n mit sehr viel Spaß und Style! Die Ureinwohner Hawaiis erfanden das Wellenreiten tausend Jahre bevor wir die Römer im Wiener Wald verprügelten und noch in Höhlen gewohnt haben. Diese Erfindung hat als Ergebnis jede bekannte Brettsportart die wir betreiben (Schach mal ausgenommen). Sie fanden die Reinheit und Freiheit im Surfen welches ihre Kultur heute definiert. 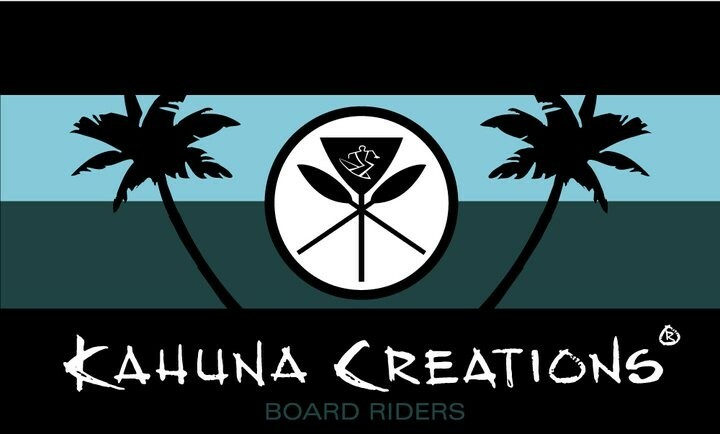 Kahuna Creations verneigt sich vor diesen Ureinwohnern mit einer Produktpalette die den “Soul of Surfing” und den “Hawaiin Spirit” wiederspiegelt und wir uns vor Kahunacreations. 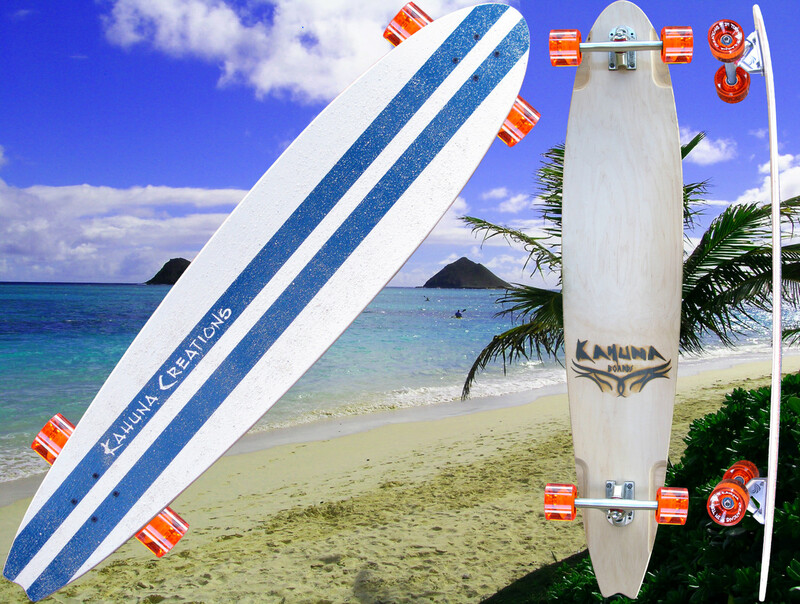 Kahuna Board Rider treten in die Fußstapfen der Hawaiiner und finden ihr eigenes “Soul of Surfing”. Die BigSticks sind die perfekte Abrundung dieser Soulboards. Wenn man die Firmenhistorie anschaut, wird man schnell merken das diese Brand schon etwas besonderes ist. 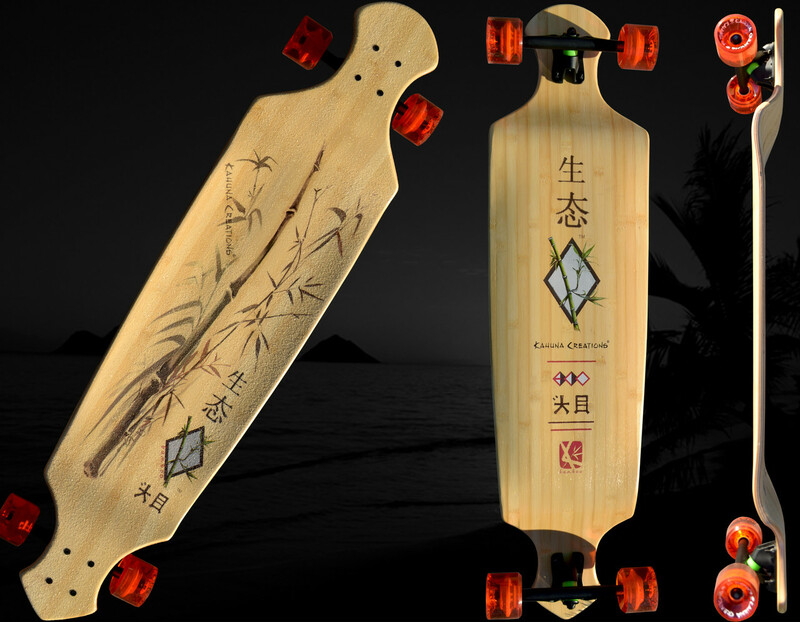 Angefangen hat das ganze mit einem Surfausflug nach Australien und geendet mit einer der erfolgreichsten Longboardbrand weltweit. 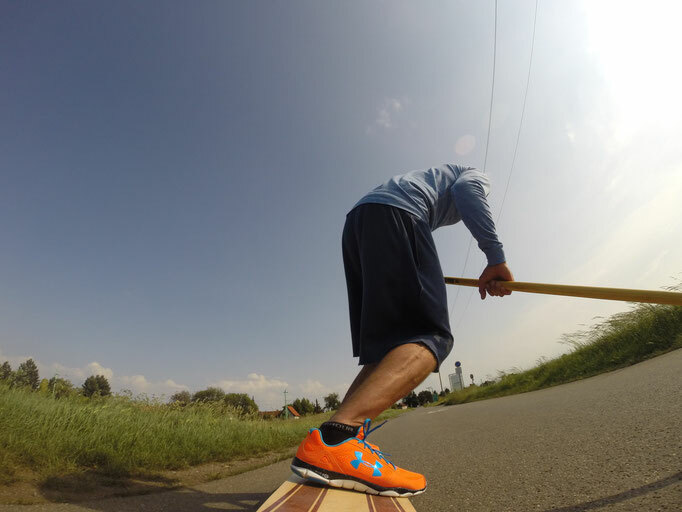 Warum Landpaddling / Street SUP ? Land paddling is a serious workout on your core muscles. You will be working out mostly your arms, shoulders, chest, abs and back. But your highs, knees, calves and ankles also get a great workout due to the balancing and weight shifts required when you carve side to side. Just an hour a day or maybe even half an hour of land paddling gets you sweating. And by the next morning, you feel the muscle... sores all over your body, a good kind of sore feeling. 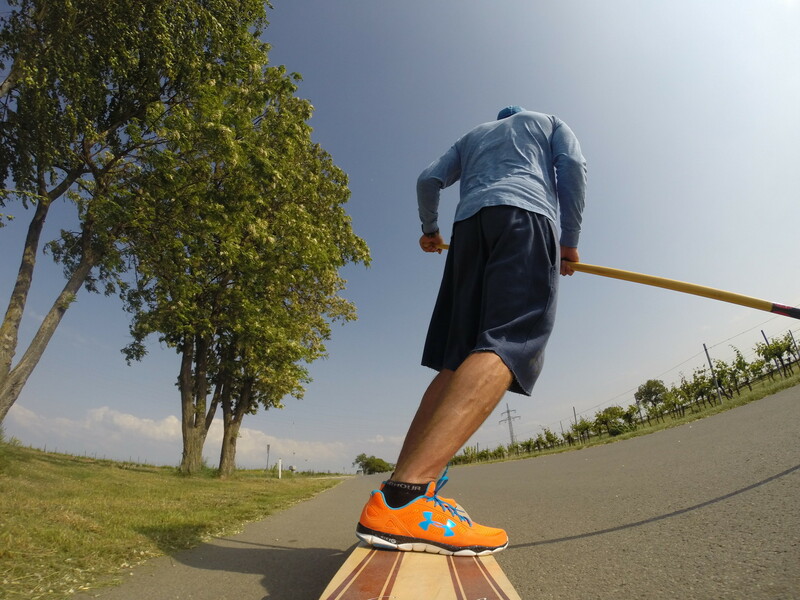 It is also a great low-impact exercise if you happen to hate running or have knee injuries. For athletes, this is a great cross-training workout on days when you need to work out but wants something fresh and non-routine. 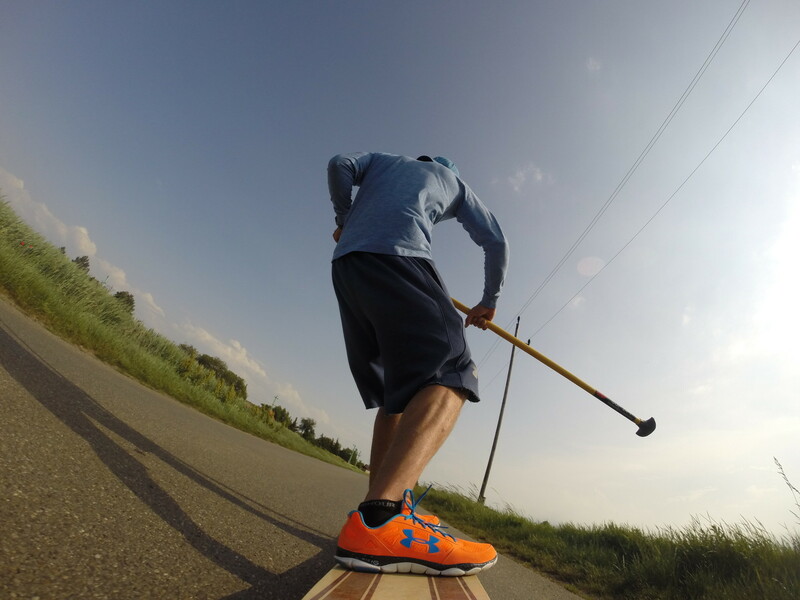 Marathon, biathlon and triathlon athletes are known to include land paddling in their workout routines. 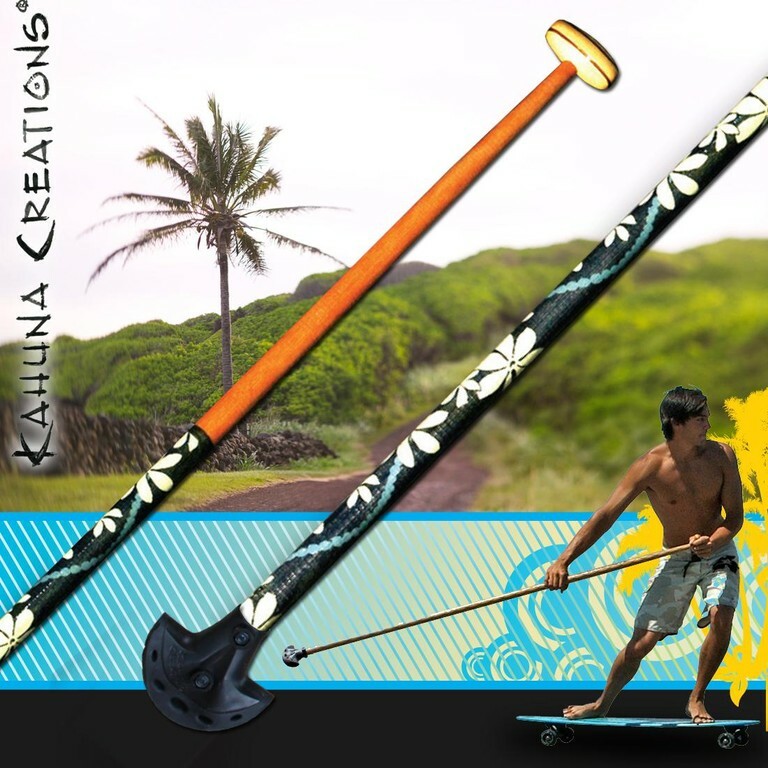 Stand up paddlers are also getting into land paddling when there are days that they don’t get the chance to head to the beach to stand up paddle. The streets and parks are your gym. 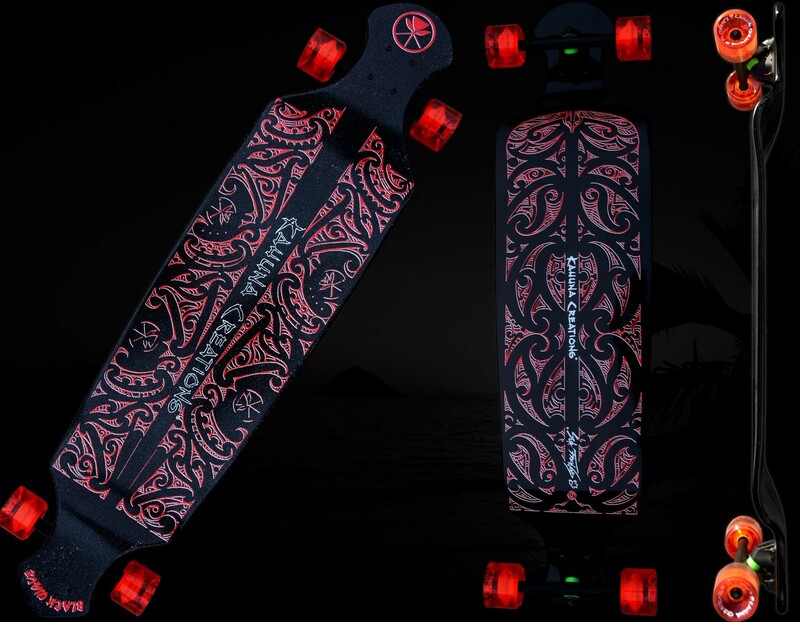 Even though, no prior skateboard skills are required, when you do start to learn land paddle, ensure that you have the proper protective gear (same that you use for in-line skating – helmet, elbow pads, knee pads). So you are ready to take up land paddle? 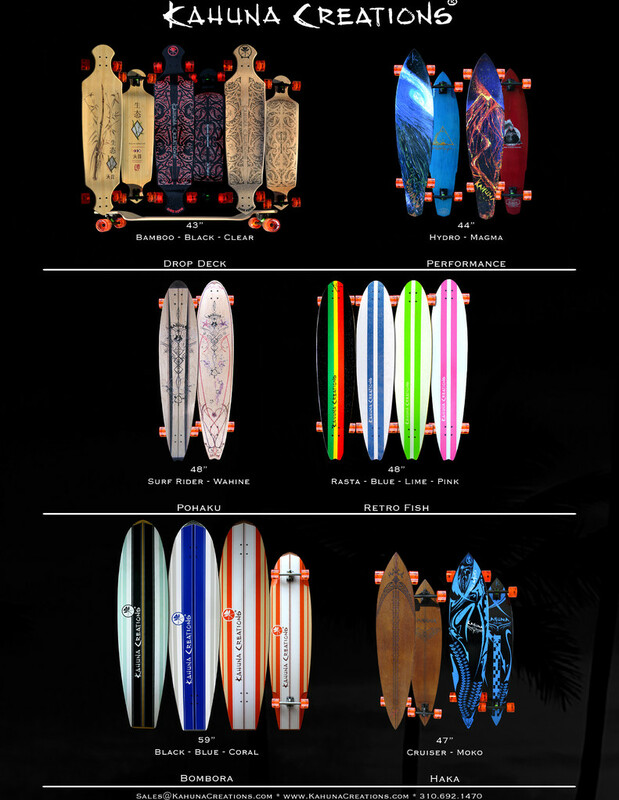 You already got yourself a longboard, land paddle stick and protective gear? So what’s next? 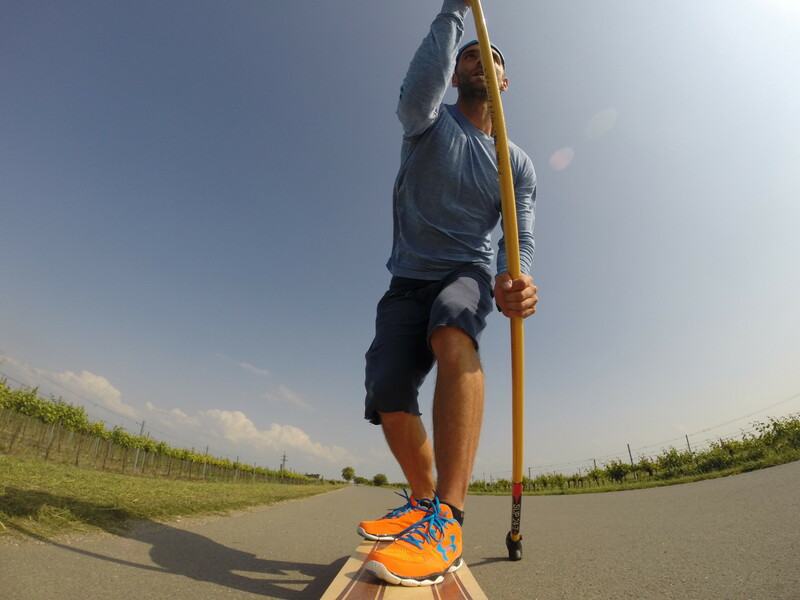 Here are the How To steps to getting started with land paddling. 1. Adjust Paddle Height. 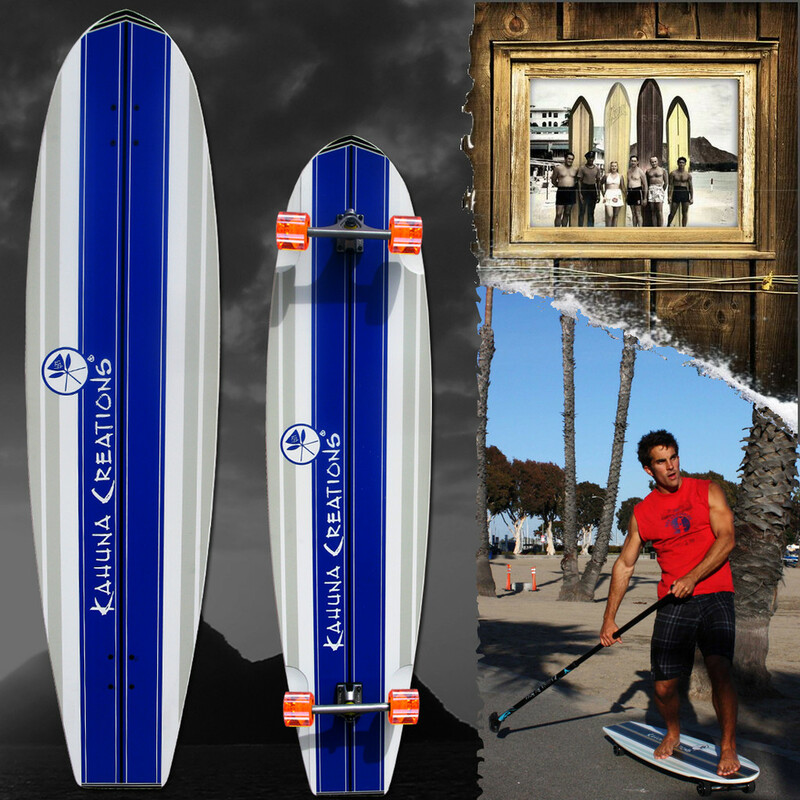 The paddle should be approximately the same height as you with the T-grip between your chin and forehead. 2. 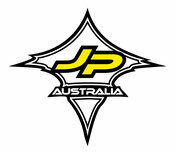 Riding Style. You may need someone to give you a slight push from behind and the foot that takes the first step forward is your front foot. Or use your stronger foot, the foot that you feel most comfortable kicking a ball. 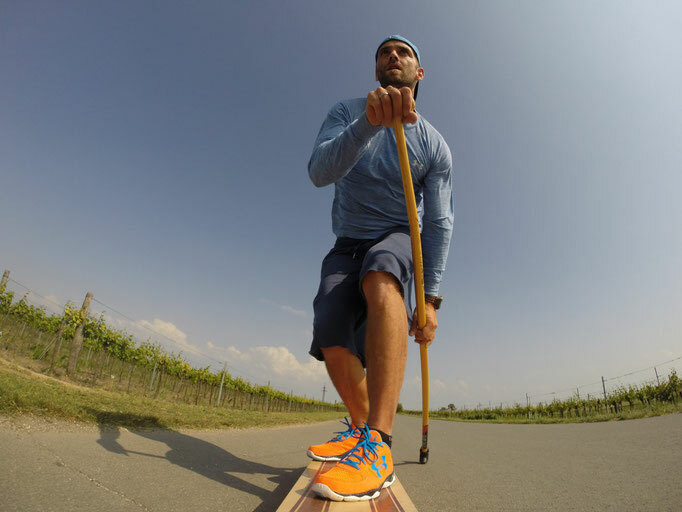 Stand with the paddle on the opposite side of the board and use it to balance as you slowly step on the board one foot at a time, front foot forward of the board (just behind the front wheels) and back foot shoulder length apart behind the front foot. 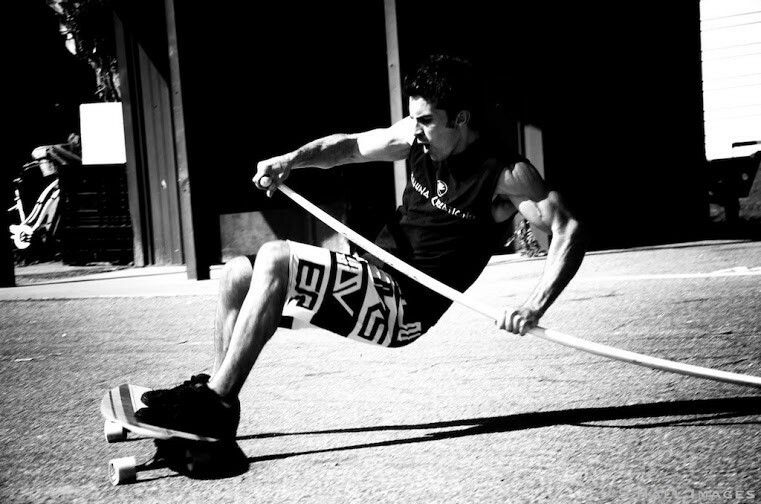 To dismount reverse the sequence as you move both feet back to the ground. Tip: keep you knees flex (do not tense), keep your gravity low if you feel nervous. 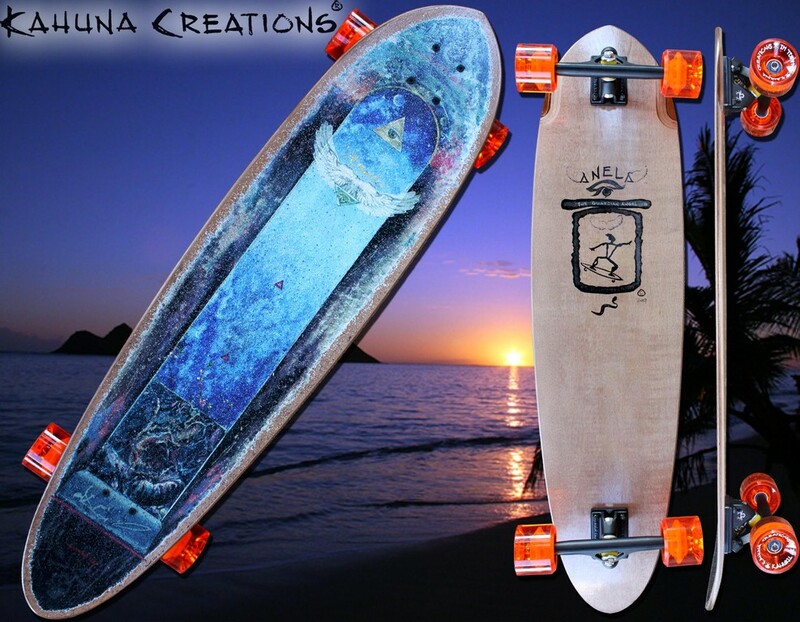 Mount the board and face the body forward. Front foot just behind the front wheels and back foor shoulder width apart to the back of the front foot. Knees flexed. 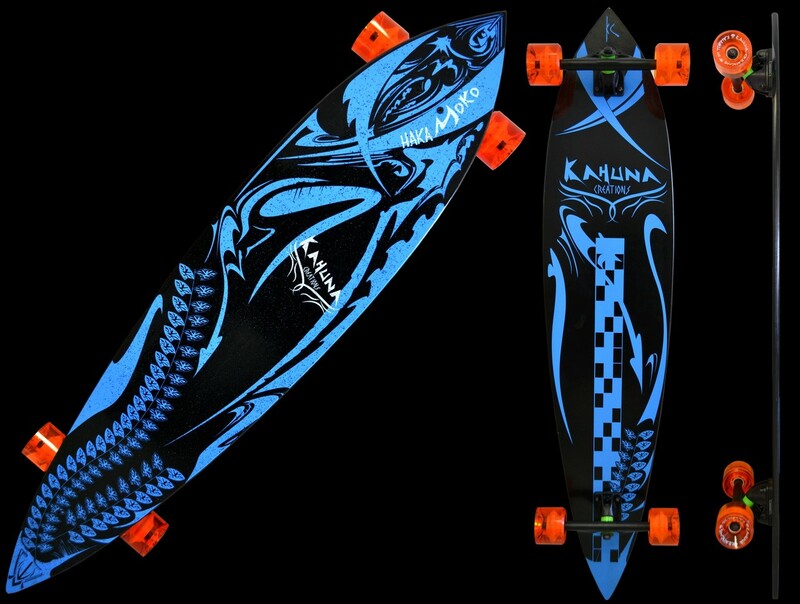 Do not step too far towards the tail of the board or you will lose control. Hold the T-grip with your fingers facing away from your body using the hand that is on the same forward foot. 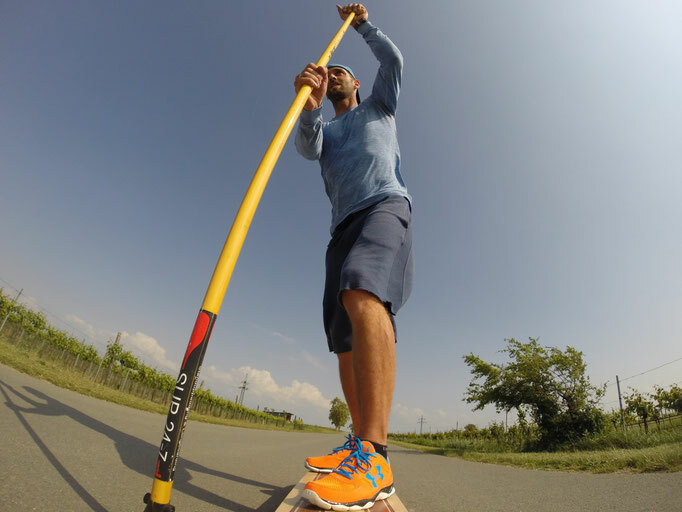 Grip the shaft of the land paddle with your other hand at about waist height. 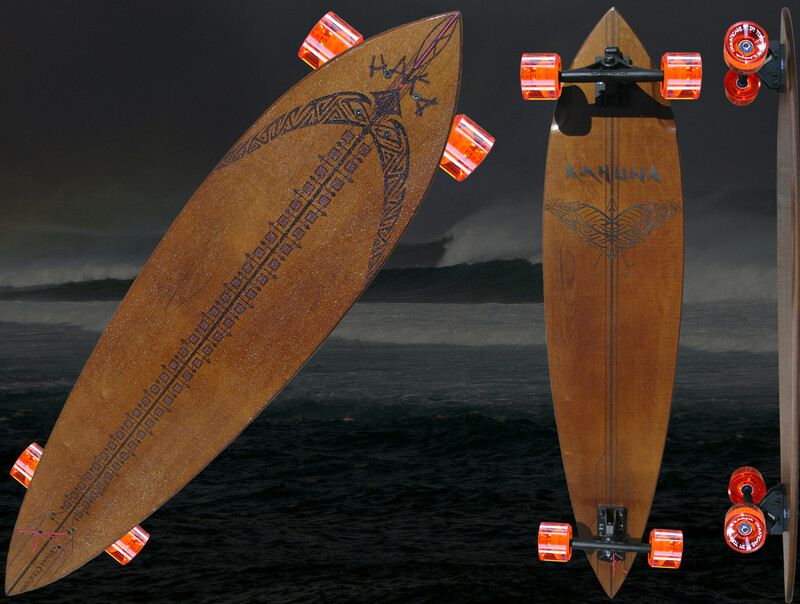 Do not place the paddle blade in front of the board or front wheels. 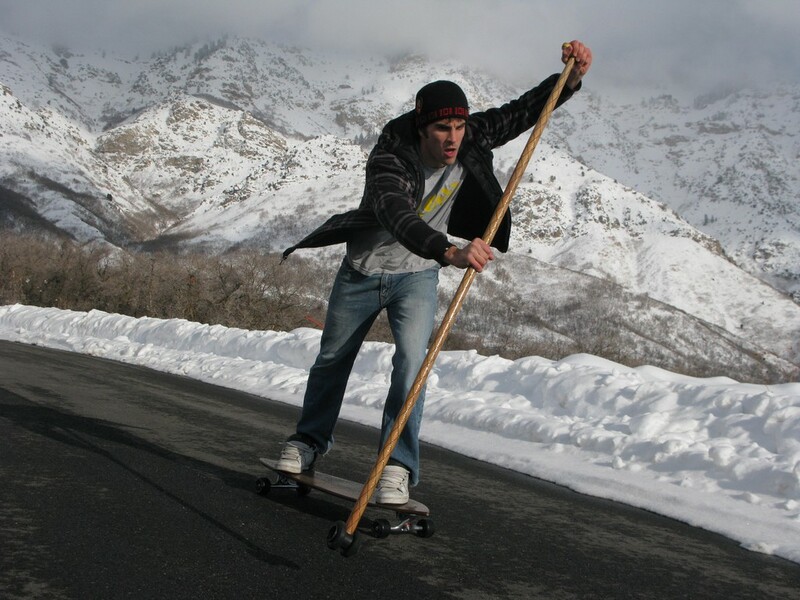 Reach the blade forward slightly in front of the front wheels (to the side of the front wheels). With the blade in contact with the ground, pull the shaft back with the arm that is on the same side as your back foot and at the same time swing back your hand that is gripping the T-grip. That generates a forward momentum. 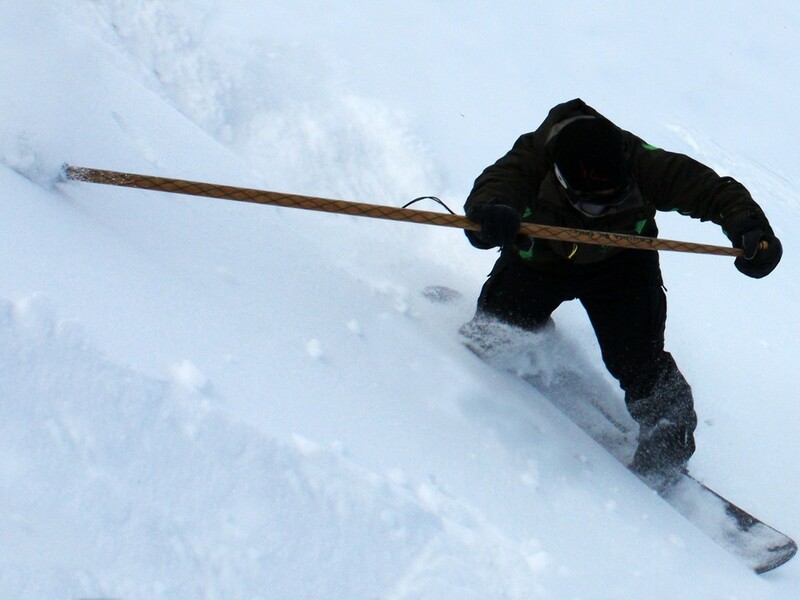 Push the blade all the way past your back foot, lift the stick off the ground and swing out slightly to the side and reach out forward as when you had started and repeat the strokes. 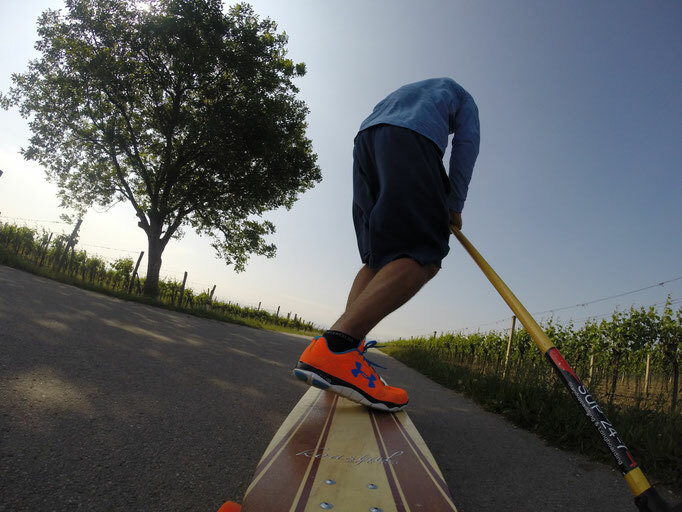 The land paddle can help you to control speed. You can apply downward force to the paddle with the blade in contact with the ground. 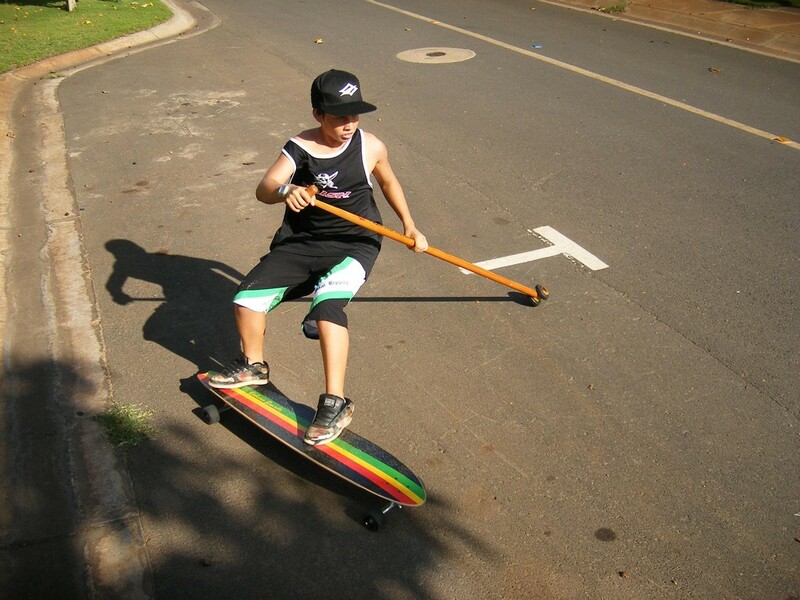 As you drag the blade behind you, the friction generated between the blade and the ground plus the downward pressure applied will slow the forward momentum and slows the board down until it comes to a complete stop. 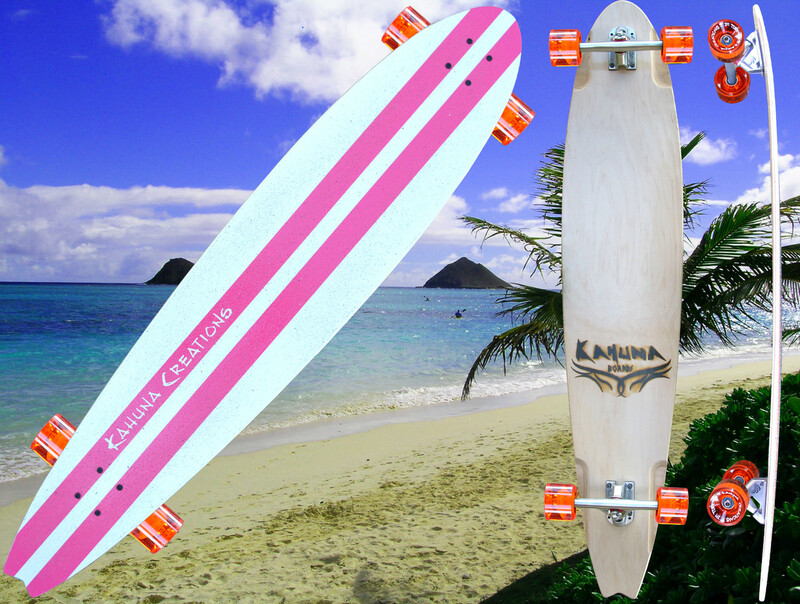 A toe-side turn will turn the board in the direction that the toes are pointing. While moving, put pressure onto your toes. This is the simplest turn as you can see where you are going. 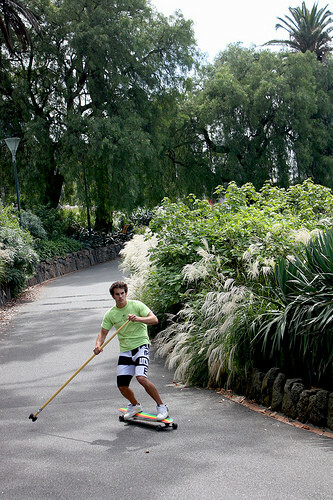 You can place the blade to the ground on the turning side to act as a pivot and balance. 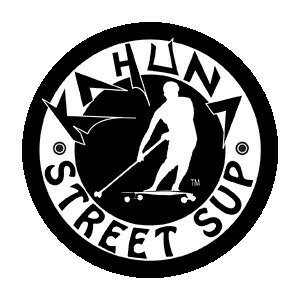 A heel-side turn is turning in the direction that the heels are pointing. While moving, put pressure onto your heels with your head turned to look over your shoulder to see where you are going. 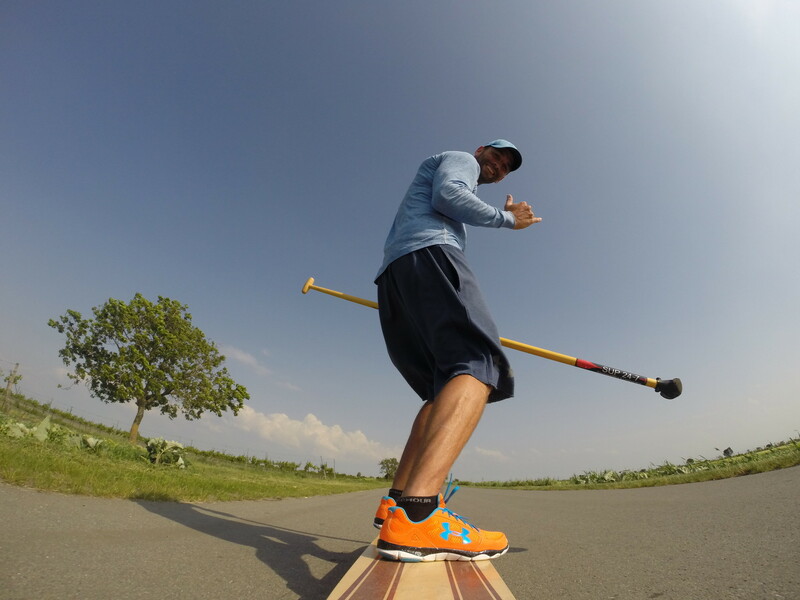 You can place the blade to the ground on the turning side (which is to your back) to act as a pivot and balance. 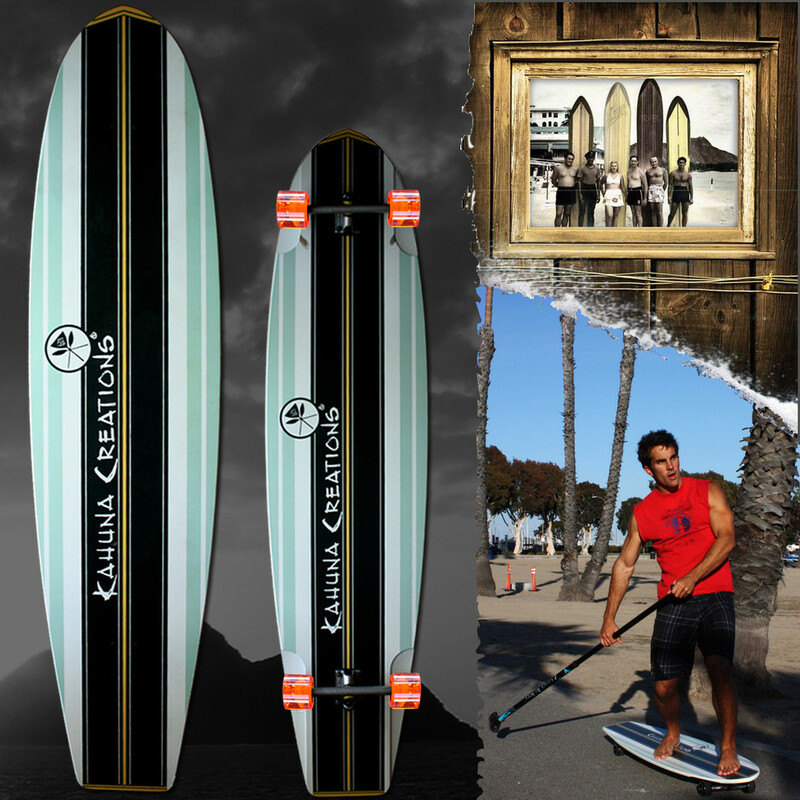 You can switch hands while paddling, not just paddling on 1 side. 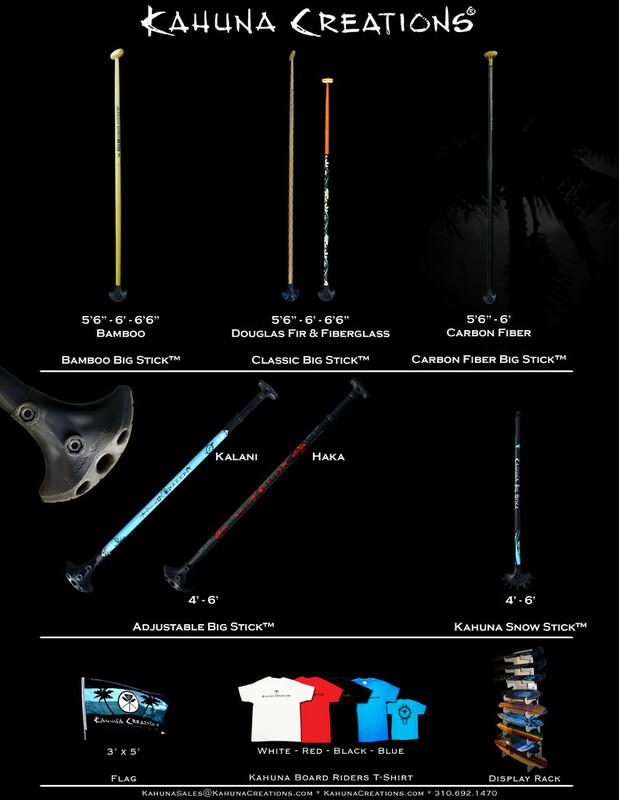 Bring the hand holding the T-grip to the middle of the shaft, while holding the paddle right in front of your body. 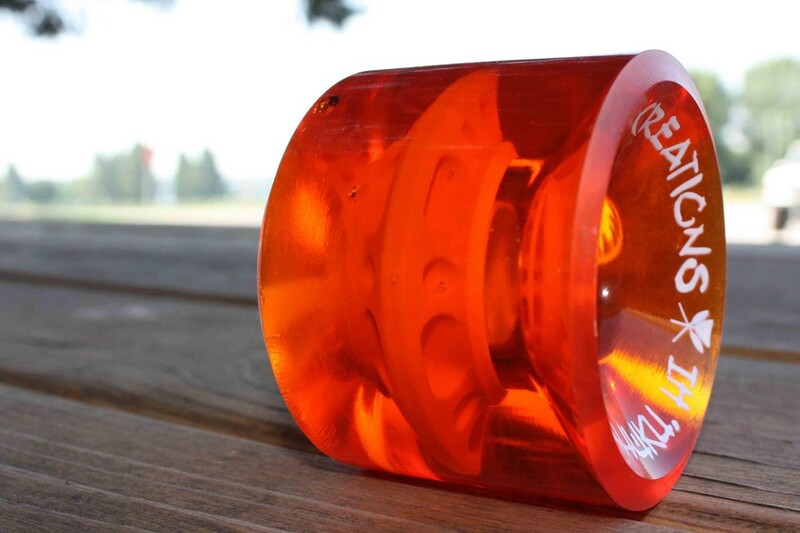 Bring the blade across to the opposite side of the board (in front of the front wheels to the side of the wheels) as you bring the original hand holding the shaft to the T-grip. 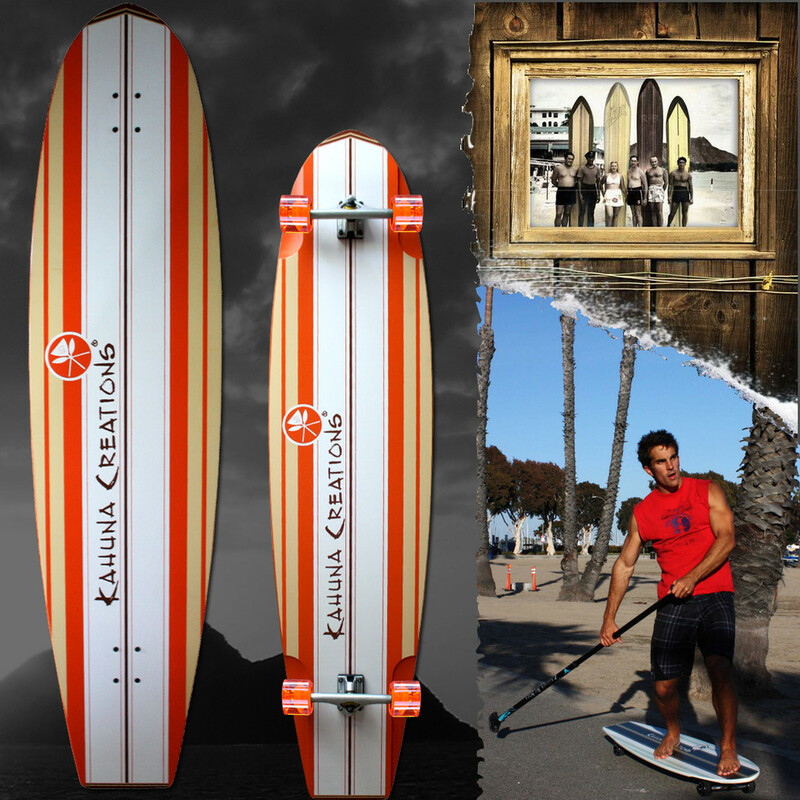 Rotate the shoulders more towards the opposite side of the board and paddle on the opposite side.